Cangzhou Bon Adsorber Technology Co., LTD.
Cangzhou Bon Adsorber Technology Co., Ltd.(Cangzhou Bonchem Co., Ltd.)is a high-tech enterprise specialized in developing and manufacturing ion exchange resin and macroporous adsorption resin. We have own modernize manufacture based a nd perfect quality authentication system, measure up the ISO9001-2000 system. From the beginning, we used “technology is forerun, respect knowledge” is our enterprise developed precondition. Collected several senior expert who engaged in synthesis and separate application of the adsorption stripping material for long time, and had the close cooperation with the National Medicine engineering Technological Research center, Medical department of Beijing University, Institute of Process Engineering attached to the Chinese Scientific Academy and Scientific Research Institute of Shenyang Pharmaceutical University, up to now ,our products and technique have been in the service of more than three hundred plant extract manufactory, scientific research organizations, institutes and medicine manufacturers, home or broad. Cangzhou Bon Adsorber Technology Co., Ltd as the one of the mainly enterprise of producing the adsorption resin in China, all along with taking “lead technology, good quality product, strict with manage, good service” as our guideline, ad we have established trust and support our extended customer. We have investigated HPD series macroporous adsorption resin as the renovate product who aim at the traditional domestic produce macroporous adsorption resin which have the disadvantages are using intensity weakly, making orifice reagent extracted unclean, adsorb choosing ability badly, and adsorb capacity lower and so on. They are all approbated by our customers. According to the requirement of the Chinese traditional medicine modernization, following the ordinance of State Food and Drug Administration 【2002】No.56 ducuments, we deal with the pharmaceutical macroporous adsorption resin to do large workload, such as resin physics capability parameter, organic residue control, animal to xicity experiment and so on , we have done the recognized test. Our pharmaceutical macroporous adsorption resin has won the encouragement and reward of our country several times, of which the pharmaceutical HPD macroporous adsorption resin (2004EB020087) has gained the support of our country as per state ”Torch Plan ”. We sincerely invite medicine manufacturers, science research institutes to place orders for our products. 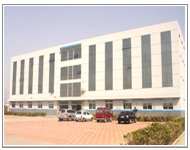 (1) Providing resin for test purpose, technological consultation and information to develop and study natural medicine. (2) Providing special resin upon users requirements. (3) Providing technological support for those who want to apply for new medicine with resin method. (4)Undertaking small, medium and large tests for natural medicine.